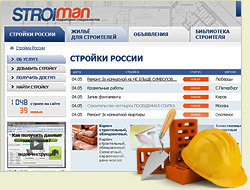 Web Studio Beatom creates websites for over 10 years. Range of services of the studio includes everything – from project idea generation to long-term technical support of the site and its promotion in search engines. You can order a turnkey website and its full support, as well as a separate service - the design or redesign of the site, the development of software for your site, optimizing the speed of the site, SEO-optimization, maintenance, hosting, domain registration.